running parallel to the main line this was particularly important in the days of steam as the route bypassed the notorious Lickey incline. 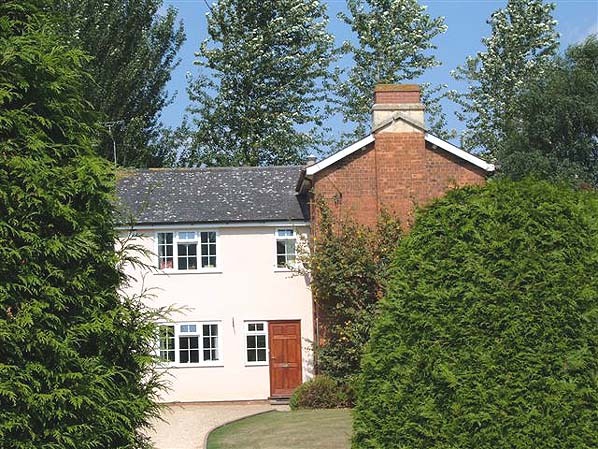 by the Midland Railway. 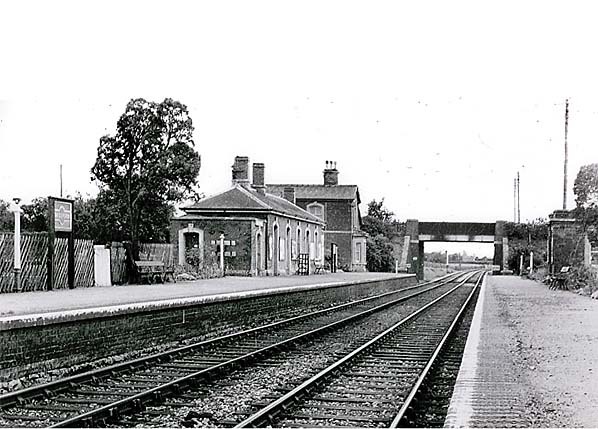 The Redditch Railway was bought by the Midland Railway in 1865 while the middle section between Redditch and Evesham was taken over by the Midland in 1882.
important part of Centro's line to Birmingham New Street and Litchfield. 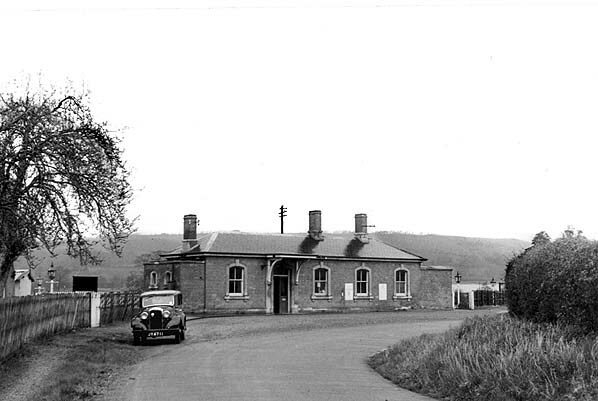 Beckford station looking south-west c. 1950s. 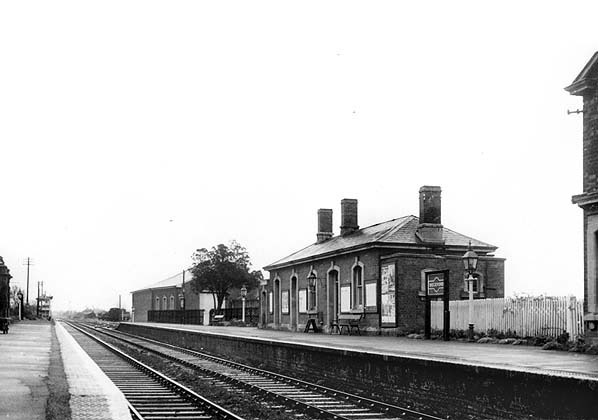 goods shed is seen in the background. 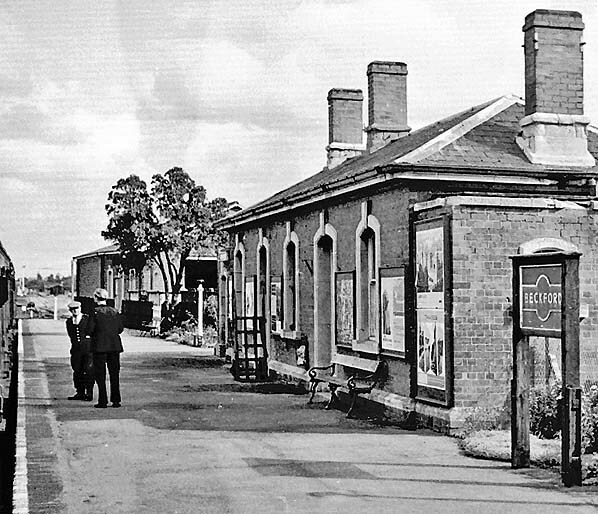 Beckford station forecourt in April 1958. 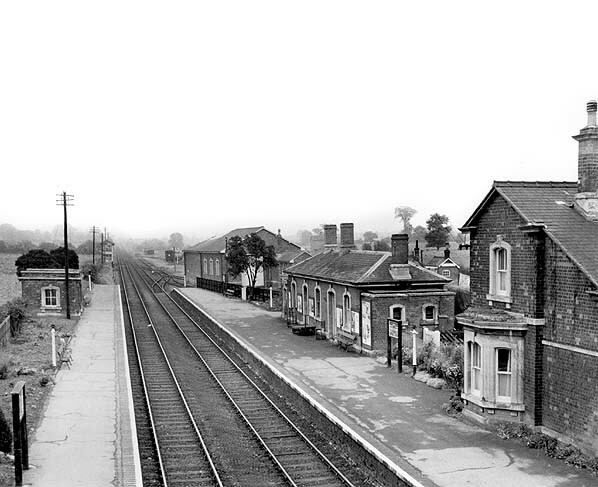 Beckford Station looking north east in Ocftober 1960. 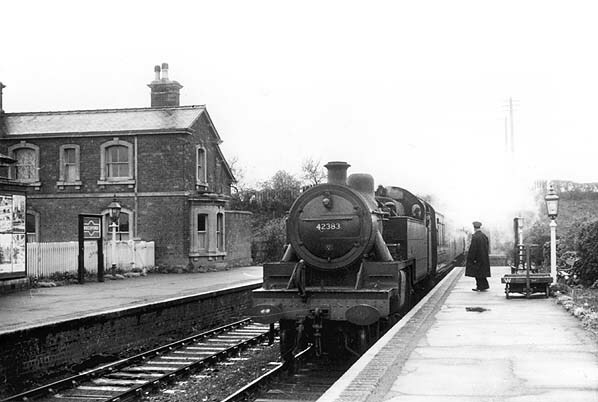 Beckford station looking north-east in June 1962 as a train waits to depart for Ashchurch. 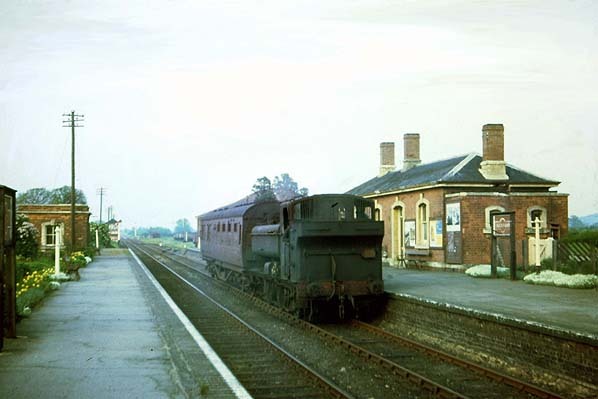 4614 calls at Beckford with a single coach from Evesham to Ashchurch in May 1963. 4614 was built by the GWR in 1942 at Swindon works. This 57XX pannier tank entered service in February of that year, at KDR, Kidderminster shed. 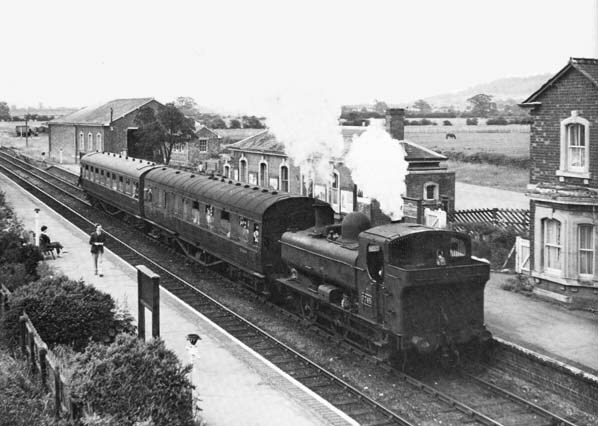 It had spells at 85A Worcester, 85D Kidderminster and 85C Gloucester Barnwood before being withdrawn in July 1964 from 85B Gloucester Horton Road, to be cut up by Birds Morriston in December of that year. 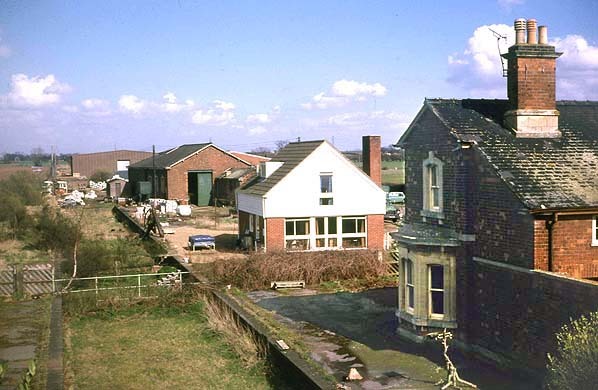 Beckford station looking north-east in March 1978.